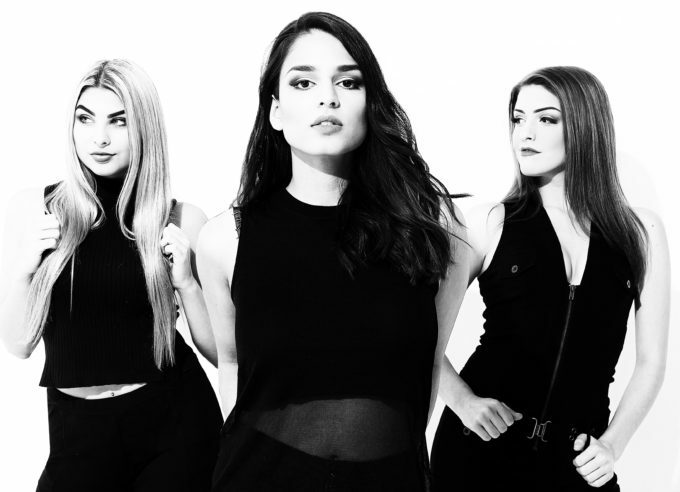 Aussie girl group Mischief have returned to the fore today, with their brand new single ‘Torn’. As many ’90s pop observers may deduce from the title, it’s a cover of the track Natalie Imbruglia made famous 20 long years ago. The rework has been produced by the ladies’ regular collaborators Michael Paynter and Michael DeLorenzis of M Squared Productions in Melbourne. And, as we’ve come to expect from the boys in the past, it’s been updated with a raft of subtle electronica, vocal tweaks and subdued tropical beats. It’s one of six tracks featured on Chevonne, Eesha and Rachael’s forthcoming debut EP, ‘Oblivion’, due for release on June 02. Previous singles ‘Gold’, ‘Next To You’ and ‘Make Me Move’ also make an appearance on the EP, along with the title track and another song called ‘Loved Me Too Late’. It’s available for pre-order now.